The Province, April 17, 2016. Have you ever spaced out when someone was jibber jabbering away at you? I presume most of my students space out when I teach math to them but this time, I was the space cowboy, err rather cowgirl. I was listening to someone talk at church (wasn’t the pastor LOL) and they were rambling a bit. 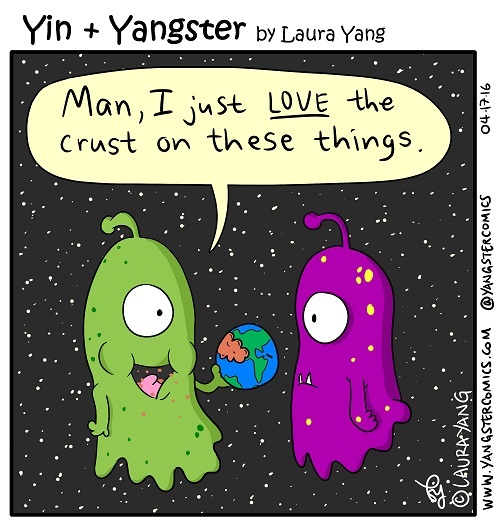 Then they broached the buzz word *crust* in the context of food. Immediately my space cowgirl brain shot off and rode into the sunset on some horse that connected “crust” to the Earth’s crust. And behold its deliciousness was born.